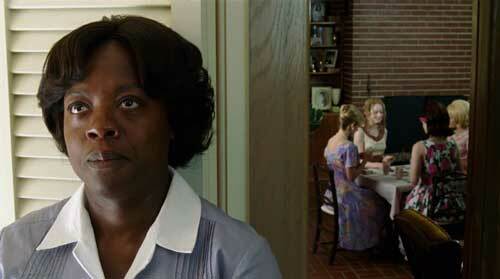 One of the most loved movies of 2011, The Help is based on the New York Times best-selling novel by Kathryn Stockett. Set in Mississippi during the civil rights movement in the 1960s, the film stars Emma Stone (Easy A) as Skeeter, an aspiring author who decides to write a tell-all book from the point of view of the African American maids who work for wealthy white families in the South, the titular “help.” When Skeeter finally gets her best friend’s housekeeper Aibileen (Viola Davis, It’s Kind of a Funny Story) to open up, it’s in secret. Other maids join in despite the danger, and as Skeeter hears their stories, her life-long friendships — as well as her opinions of society — are challenged. Rated PG-13, the movie also stars Bryce Dallas Howard (Twilight Eclipse), Octavia Spencer (Dinner for Schmucks), Jessica Chastain (Jolene), Allison Janney (TV’s Mr. Sunshine) and the hilarious Sissy Spacek (3 Women). The book was adapted for the screen by writer/director Tate Taylor (Pretty Ugly People). The comedy-drama grossed a whopping $165 million in theaters, and scored a huge 92% approval from audiences, according to Rotten Tomatoes. Most critics applauded the movie as well, although there were some holdouts. Slate‘s Dana Stevens said, “The Help is a high-functioning tearjerker, but the catharsis it offers feels glib and insufficient, a Barbie Band-Aid on the still-raw wound of race relations in America.” That might be taking things a bit far. This is a movie, afterall. Disney loaded up its releases for the home market — including digital download — with special features. The only difference between the two-disc and three-disc Blu-ray/DVD combo packs is a downloadable digital copy in the three-disc version.